Q&A – Can I Use Tricks to Teach My Horse to Stand Still? Question: My horse won’t stand still. Can trick training help with that? 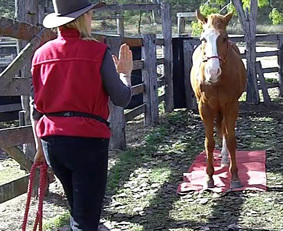 You can definitely use the same process that you use to teach a horse tricks to also teach a horse to stand still. 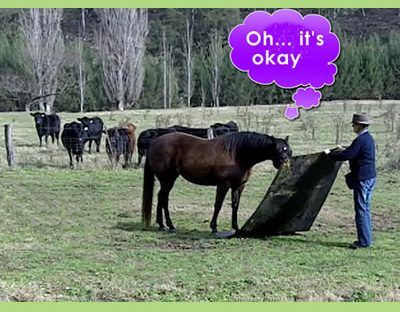 I like to train all my horses to stand on a particular spot – for example a small mat on the ground. This gets them ready for lots of other tricks such as standing on a pedestal and gets them used to things under their feet. 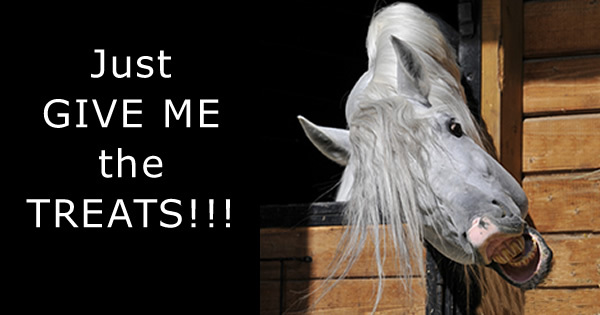 Q&A – Should I Teach My Horse More Than One Trick at a Time? One of the first horses I started trick training was a thoroughbred who did get bored with doing the same things over and over again – he was a VERY smart horse. So I would try and teach him about 3 tricks at a time.